What is coming up in the next few weeks? Sat.1st/Sun.2nd Feb – BUSA South West Team Racing Trials. On this weekend prepare to see the Club buzzing with students from all over the South West. They will have an intense weekend of team racing to decide which teams go forward to the BUSA finals at Easter. Team racing is always good spectator sport, and great for learning about and actually seeing the racing rules in dynamic action. Come along and support our own Chew teams from Bristol, Bath and UWE. Wednesday 20th February – the 2nd Winter Warmer evening – a QUIZ NIGHT with Quizmaster John Kelly and Quizmistress Ruth Kenyon – what a great combo!! John and Ruth are very excited about their debut as Chew Quizpeople – an evening of popular trivia, some expert sailing knowledge, an opportunity to learn about the very best Highland Malts(!!) and generally have a great social evening. Rob will have the galley up and running from 6.30pm with a view to getting organised around 7.00pm – and of course the bar will be open. Please come and enjoy what promises to be a fun evening – people will be put in teams on the night so don’t worry if there are only 1 or 2 in your fleet! Also, for information, the 3rd Winter Warmer is already brewing – a talk by our very own Hugh Whatley on organising a Fastnet campaign on Wednesday 20th March; more details to follow – but get the date in your diaries. We have stepped in to host this Solo championship when we were asked last Autumn. The event is not in the current Club calendar. When we have held it in years past, there have been up to 40 Solos from all over the country blowing away the cobwebs at their first open of the year. Our volunteer team is coming mostly from the RS200 contingent; do come and see the on the water action and cheer on a Chew victor….! Jeff Stratford tells me there are still some places left on this excellent day of first aid instruction – useful to all of us in everyday life. Contact Jeff at jeffstratford@btinternet.com, or book your place on Webcollect. Our ‘eagle eyed’ Club Race Officers may have spotted the work going on aboard the Committee Boat to convert it from using the traditional ‘Christmas tree’ flag hoists to a pole system. This will have the immeasurable benefit of meaning that the boat no longer has to be brought into the concrete jetty to load the hoist system – a major discouragement to Race Officers using it. As always there are changes to the rules and protocols for running dinghy races. Hopefully this evening will be an opportunity for everyone to get bang up to date. Sadly Chris Goldhawk is standing down as our results guru – a position he seems to have held since computers were invented! His decision has been driven, in no small part, by the inability of us Race Officers to get to grips with the Sailwave results system used in the race hut. The evening will be a chance for us all to thank Chris for all his hard work, and to hear him tell us what we could have done to make him change his mind! Keith Harris, our Principal Race Officer, will take charge of the evening and I sincerely hope that all of our current Race Officers will take this chance to be updated in a friendly and convivial evening of banter….! So, what’s happened in the last two weeks? So far weekends have either had hardly a zephyr of wind, or the dog has been blown off the chain! James Williams and Vicky Counsell in the RS200, Keith Harris and Claire Jefferis in their Flying Fifteen and Steve Penfold in a Solo seem to be the early front runners. With the series split into am and pm, there is still much to play for and, in the cold stuff, you can try and target either the morning (and then have a family Sunday lunch), or the afternoon series and follow up with a bar-room chat! Yes, Richard is Adam’s brother – Adam has given us all serious racing pep talks in past years! Richard is working at Moatt Sails in Weymouth and gave the assembled 40 or so members a thoroughly entertaining talk on sail setting and trimming. In fact we all started with a two team session on sail making at which our Commodore – Helen – positively excelled! We revised the importance of tell-tales, and where they are placed and how to ‘power up’ and ‘power down’ – the 20 Unit theories. And, bizarrely, how to land a balloon on the lunar surface – using a toy I remember receiving as a Christmas gift as a child, so the thing must have been at least 20(!) years old…. A great evening – a lovely meal (thanks, Rob), and some warm company. First of all, each year we like to celebrate the success of Chew’s juniors in being selected (and yes, it is a tough selection process), into the various RYA and Class Training Squads. Here’s the list of the very impressive 11 junior sailors who have been chosen based on a number of selection events held in 2018. I would like to congratulate all of them, (and perhaps commiserate with the parents who now face a winter of travelling to training sessions!) Chew is very proud of all of you. So with the assumption that we can find a new Topper Fleet Captain the plan will be to start the sessions of regular training, with RYA qualified Race Coaches, sometime in April. There will also be a small race series once a month for those just starting to race. For those wondering about Chew Crew, Mike Kew will be organising and running the program again starting in early May. Mike will be sending out details in the coming months to those that registered last year. Notice will also go out in the Vic-Commodore’s fortnightly newsletter and on the club website youth section. We are hoping to also include an intro to racing session on a monthly basis within Chew Crew as well. 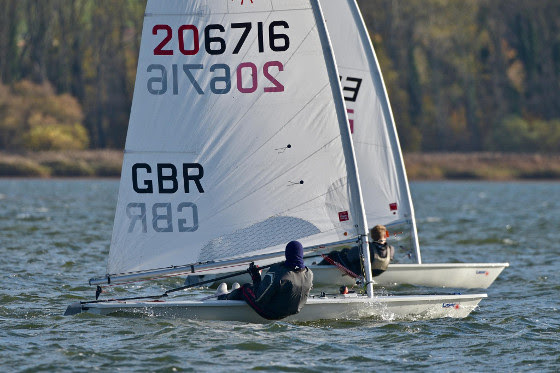 We have also launched a team racing program at Chew for both Junior and Youth sailors. Juniors sail in the club Fevas, older Youths in Fireflys. Team racing is explained here. This is an exciting new initiative at the club and this style of racing is particularly good at developing both race tactics and boat handling skills. It’s also ideal opportunity for less experienced sailors to crew a Feva, alongside some of the clubs more experienced sailors. We have organised a series of training days and will also hold some friendly races against local schools at the club (e.g. Clifton College). The next session will be on 9th February. Sign up at this link (originally Feva training but we have re-purposed some of the Feva training for team racing). Finally a last note to you all – it’s time to shake off those Winter blues and check your galleon hasn’t sprung a leak as the days start to lengthen.